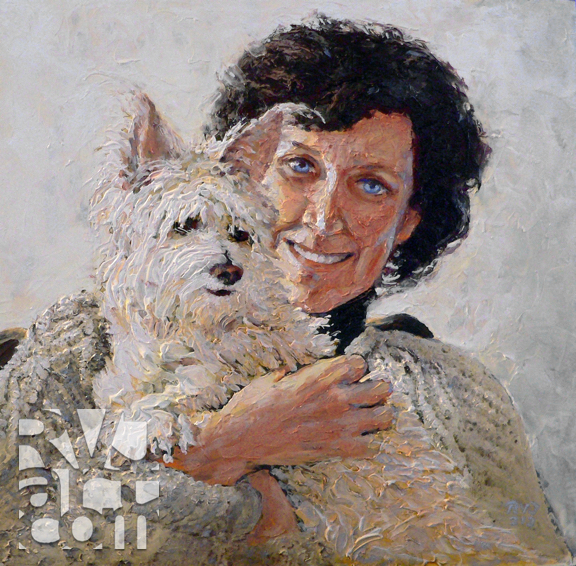 This is a portrait in oils of Nancy and Tinker. Nancy is the love of my life, a lifelong friend, and my wife. Everyone who knows Nancy loves her. They can’t help it, she is just that kind of person. She radiates compassion for all beings…especially the four-legged variety. She is holding Tinker, our wonder terrier (as in “I wonder what she is”? ), in her arms.